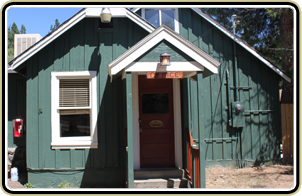 The Timberjack Lodge is a clean, comfortable and quiet, 12 unit motel located in the heart of Hayfork Valley. The lodge was completely rennovated not long ago, to provide guests with a unique lodging experience in a remote location. Designed to blend naturally with its peaceful surroundings, the lodge is the ideal place to relax, BBQ, and take in the sunsets over oak covered pastures. Enjoy old fashioned hospitality at its best in a beautiful tranquil setting just minutes from Hayfork.The Timberjack Lodge is surrounded by scenic wilderness full of wildlife and recreational activities for visitors of all ages.Go hiking, biking, bird watching, or just sit on the front porch and enjoy star gazing at night.